Hey everyone... been on the org for while just never really posted so decided to post few things up.. hope you guys like it... nothing major just little mods ..
Last edited by cmejatt; 04-27-2011 at 04:09 PM. Thats a nice mod list. Looks really nice! Looks good,i thought I saw u write on the other org. U wanna get rid of ya max? Nice mod list, You max looks sick. Keep em coming. 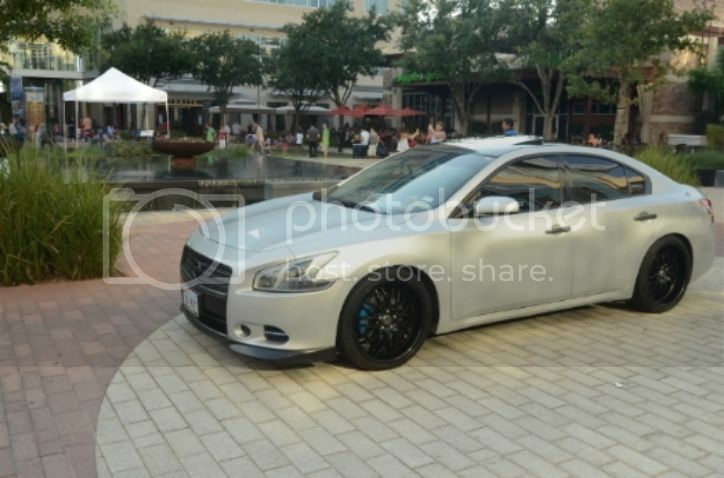 thanks everyone ... and i was looking to get rid of it ... but didnt get good offers ... and i was getting a good deal on a G35 ... but it didnt happen soo im ganna hold on to the car for little while longer .... and yea lol those are my real plates .. nttin against Hondas.. It may be the camera but the color looks wicked in the pics..
Is that a factory color,looks good. Nice. That Grill Emblem on the first picture isn't centered. guys i need little help .... i bought the magnaflow exhaust magnaflow 14816 .... so i heard videos just with the mufflers wasn't to loud .. i just wanted to go little bit louder .... so i was thinking about getting a test pipe or something ... idk.. replace the stock resonator with something .... i came across this LMK if it good or not .... or what do you guys recommand to get ..